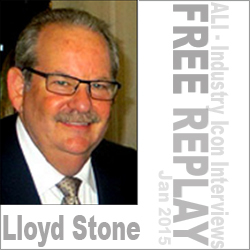 Lloyd Stone is the second generation President of Manny Stone Decorators – one of the largest trade show and visual merchandising display firms in the United States. As artists and designers prepare for attendance at trade shows (primarily SURTEX/The National Stationery Show and The International Licensing show), Lloyd’s comments and advice are invaluable in their planning. Of note, his company is an authorized, licensed and fully insured independent contractor and booth provider at the Jacob K. Javits Convention Center – home for SURTEX. In this interview, Lloyd shares his passion, personality and perspective on trade shows, and offers superb tips, from marketing to design, for making your booth a success! A “must listen” to anyone preparing for or considering a booth at any industry trade show.